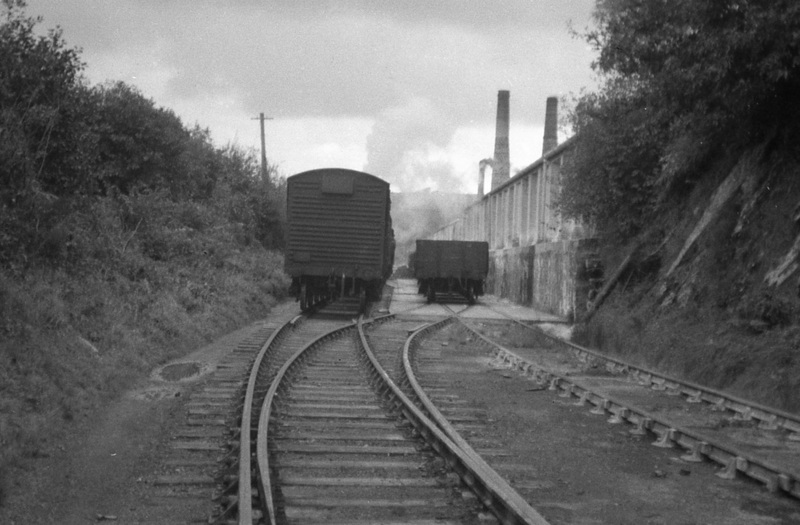 Many years ago now one could purchase a ticket at Wadebridge station permitting you to ride in the brakevan of the daily freight train to Wenford Bridge. 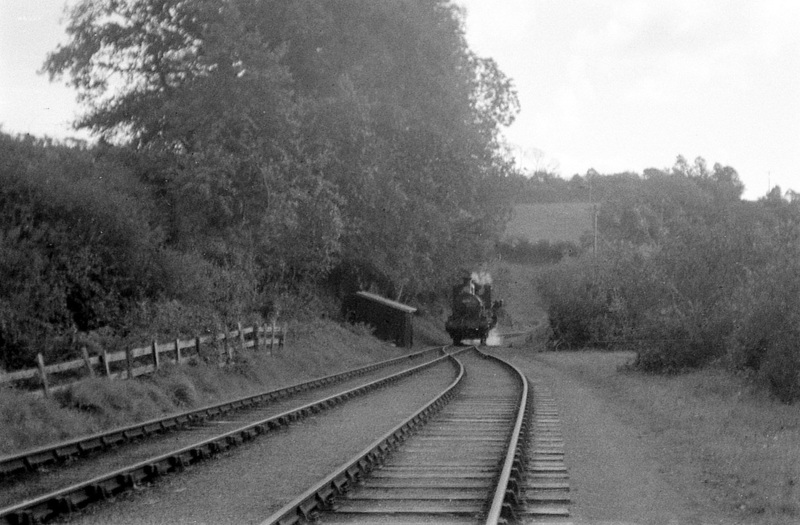 The following pictures refer to such a journey made by Mike Roach on Monday 10th October 1960. 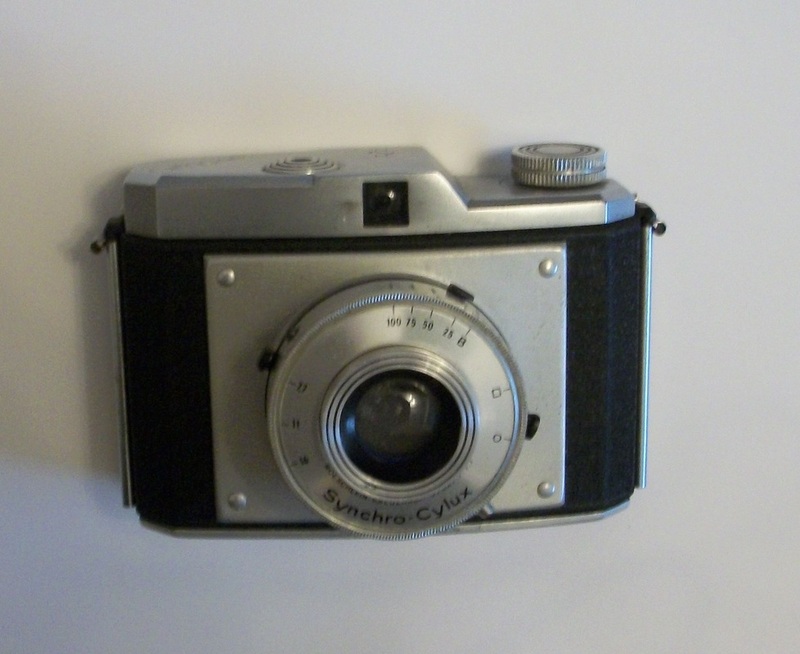 Excellent value at 5 shillings. More details at the end. 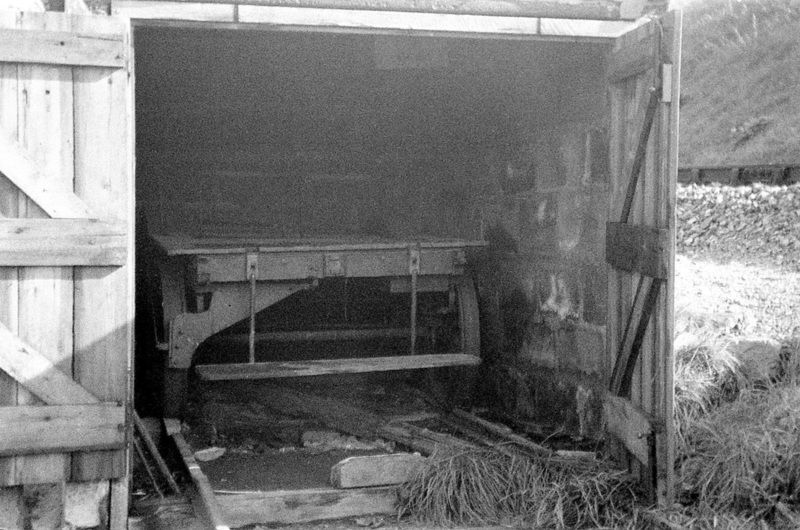 The track maintenance 'pump' trolley in its shed at Dunmere Junction. 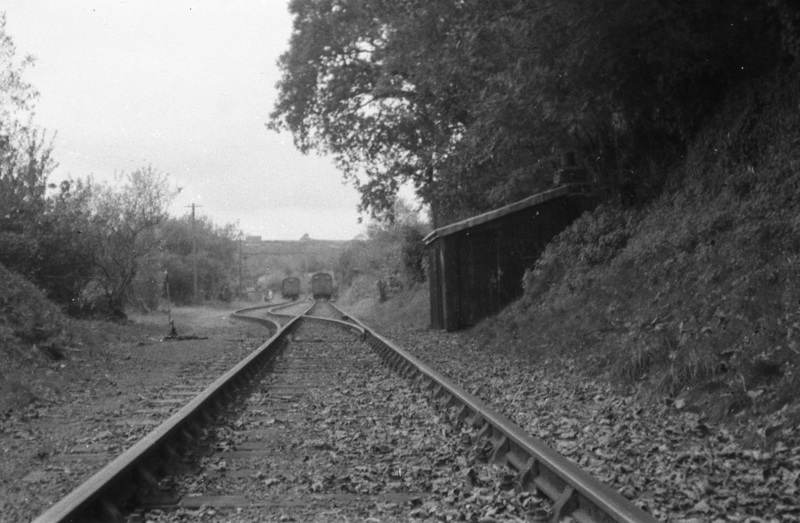 The metals of the line to Bodmin North are on the right. N.B. The trolley was purchased by CRS member Dave Letcher and is now kept at Bodmin General station (Bodmin and Wenford Railway) Details of the trip. We left Plymouth at 6.50am behind D827. 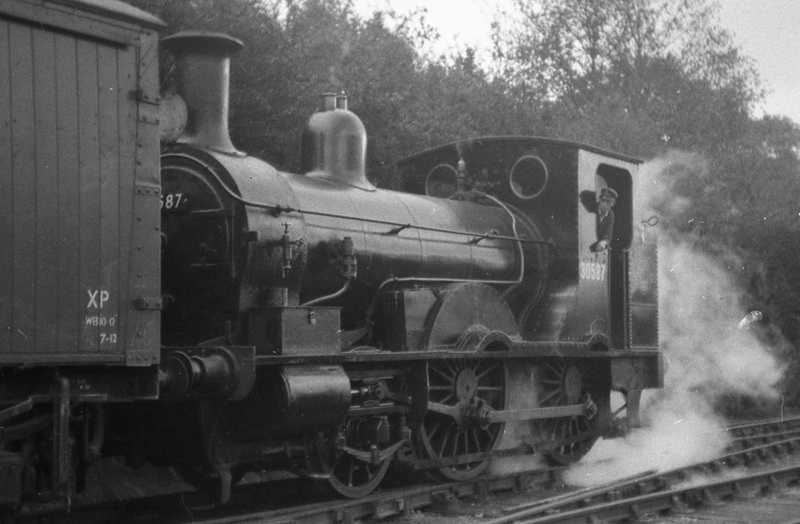 At Bodmin Road we transferred to the 7.50am to Wadebridge hauled by Prairie Tank 5539 of St. Blazey Shed. 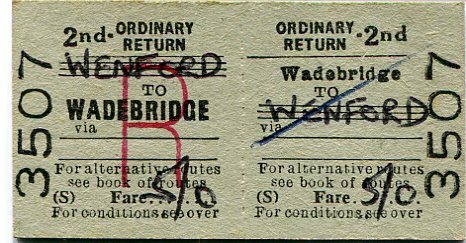 At Wadebridge we bought our ticket from the station booking office for the sum of 5 shillings (25p). 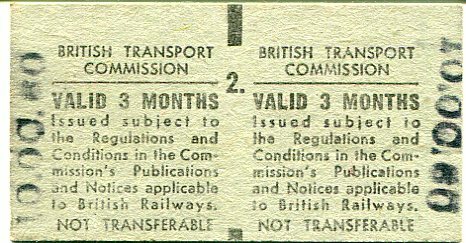 Was there anywhere else in the British Isles where you could buy a ticket to travel on a freight train ? We left Wadebridge at 9.43am some 8 mins late on the WTT, with 21 trucks. 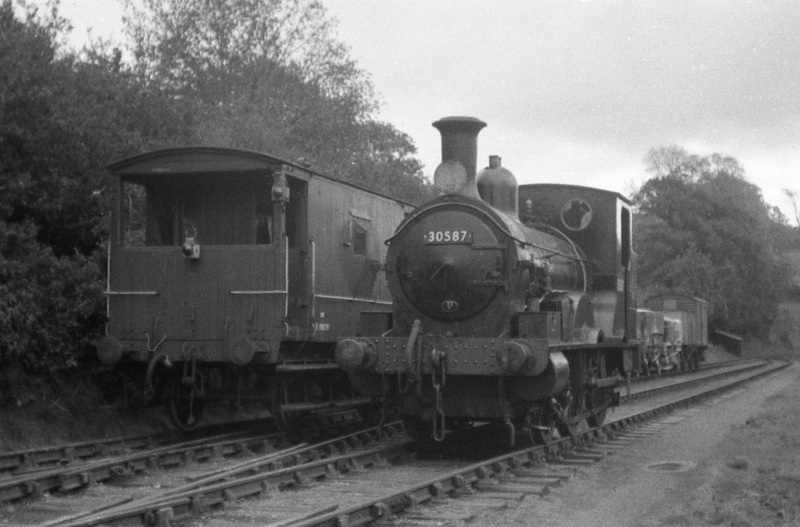 The train was at Boscarne Junction shunting from 9.59 to 10.31. We were at Dunmere Junction for a couple of minutes while the gate was opened and closed and we were locked into the branch. 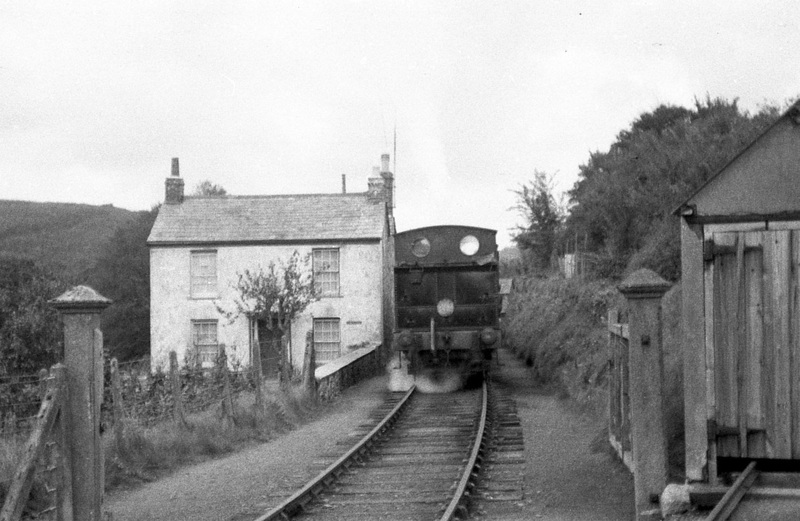 We then had a spell parked between the gate and the level crossing of the main road between Bodmin and Wadebridge. This may have been the traincrews mid-morning break. It took ten minutes to reach Pencarrow where we spent six minutes taking water from the overhead tank. It took a further 28 minutes to reach the Wenford Clay Dries. 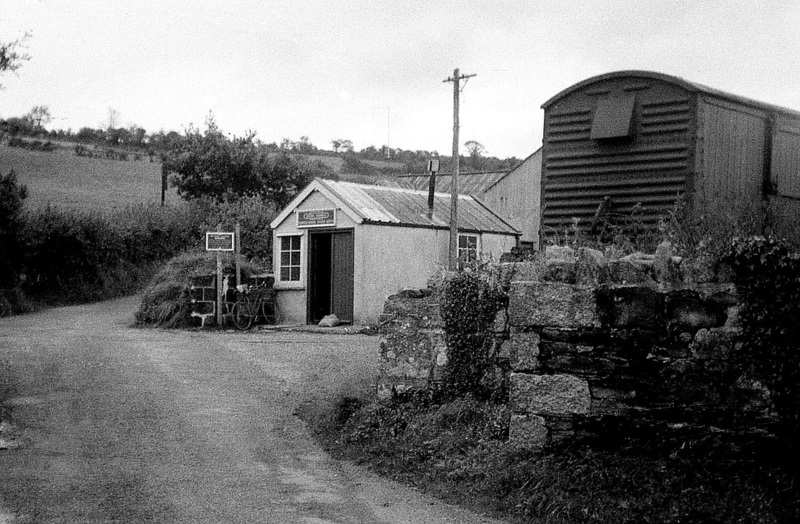 At some stage (not recorded) we moved on to the terminus, and public freight depot, at Wenford Bridge. We departed here for the return trip to Wadebridge at 1.55pm with 9 trucks. Stopped beyond the clay siding for two minutes to fasten down the safety blocks to prevent runaways. Stopped at the water tank again for 6 minutes to take water 2.19 - 2.25pm. 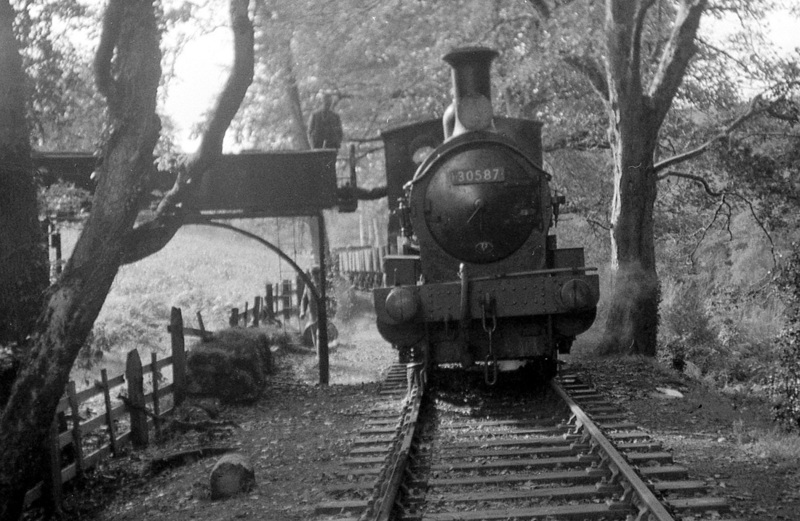 We reached the gate at Dunmere Junction at 2.39pm having spent 4 hours on the branch. 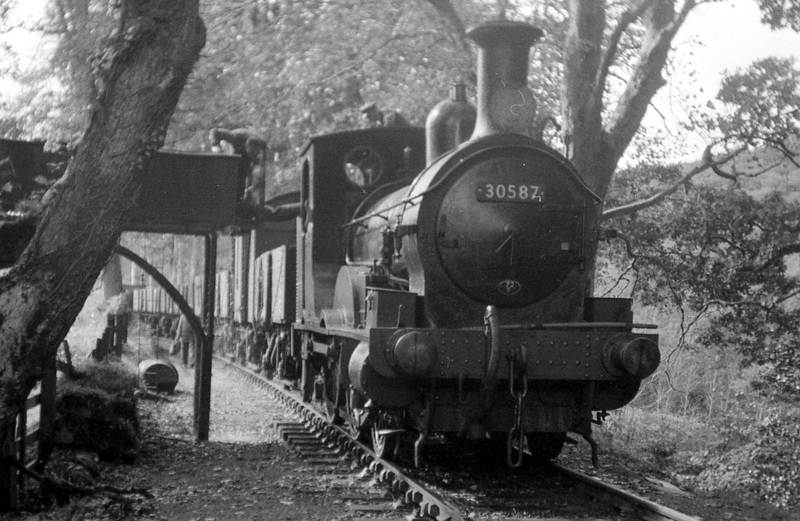 Here we left the train and made our way into Bodmin to catch the 3.54pm from Bodmin General to Bodmin Road hauled by 4569 of St. Blazey Shed. Here we transferred to the 4.08pm to Plymouth hauled by D6316 and D6326. I would have tea and then travel overnight to South Wales where I was living and working at the time.